I wanted a peaceful home. Harmony and order. Randy and I were newly married, and I’d hoped our kids would get along and be kind to each other. I soon realized that was more like a dream. And achieving it, a tall order. We were parenting four kids from two different homes. Two different backgrounds. Two sets of rules. Two sets of expectations. And we were all learning to live together. Conflict, accompanied by heightened emotions, erupted all too often. Most of the time, there was little warning. Peace and harmony were not the norm. Getting along and treating each other with kindness…uh, not so much. Then I attended a stepfamily conference. I heard stepfamily expert Ron Deal speak. 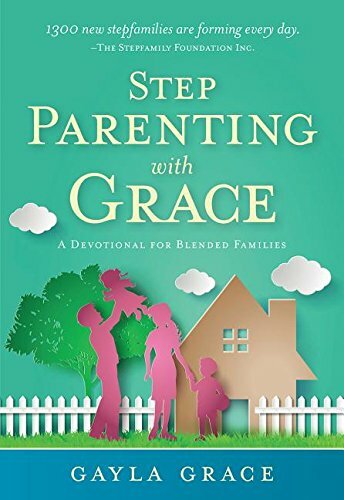 “In a stepfamily, you must learn to endure disharmony.” he said. His words gave me hope. They relieved my guilt about the lack of peace in my home. When we join two families and begin to untangle the emotions, the circumstances, and the history that brought everyone together, it’s not unusual to have minor (or major) emotional eruptions. In the beginning, I thought we were failing in our relationships when we couldn’t get along. Ron’s words made me realize that instead of failing we were normal! That didn’t mean we shouldn’t pursue peaceful relationships. But it helped to remember we were only responsible for our efforts, not the outcome. It’s not usually just ONE thing that contributes to the emotional disruptions. It’s MANY things. The behavior in our stepchildren’s other home, teenage emotions, stepsibling rivalry, a difficult ex-spouse, loss from death or divorce—they all have a tremendous impact on the climate in our home but are out of our control. Even if we do everything right as stepparents, there will likely be tension and days of little peace in the early years of a stepfamily. 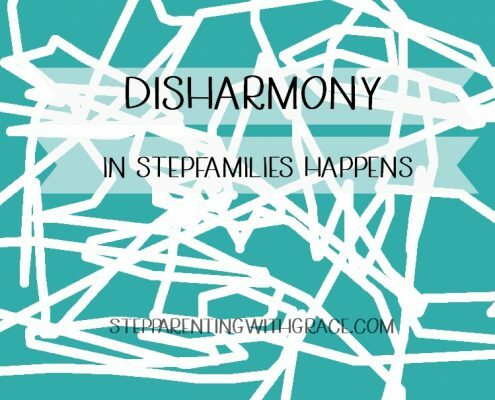 Is your stepfamily in the midst of disharmony? Hang in there! This season will pass. Look for ways to get the support you need to walk this rocky road. Find other stepmoms or friends who can encourage you while your stepfamily works out its kinks. Look for ways to take care of yourself that allow you to recharge and renew your spirit. 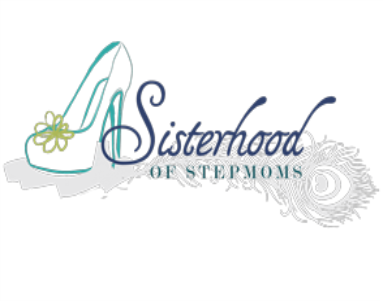 Attend our upcoming Sisterhood of Stepmoms retreat and find hope and encouragement! But don’t give up! Stepfamily life gets easier with time. Is your stepfamily in the midst of disharmony? Will you share how you cope with it? So true! I speak and offer Stepfamily Rx conferences here in Eau Claire, WI. I have lived through divorce and am currently living in a stepfamily. Our children are grown and we have grandchildren, but the different dance of stepliving continues. It is tempting to want to compare our lives to biological families, but it is not the same. Disharmony exists in all sin-filled families. The disharmony in stepliving is different because of history, loyalties, extended family, etc. Letting go and letting God has become my mantra. I also teach letting go of expectations as they exist in my mind only and too often set me up for falling down…..and to stop taking things personally. I’m going through this kind of thing now. My 7 year old stepdaughter is living with us full time. It two months now. I’m struggling with the bussy house hold and doing everything for her. She is a bit autistic so she is a hand full. I do love her a lot and she love’s me. I’m just scared that I can’t cope and come through with raising her. Her dad can’t do anything for her she demands I must do everything for her….. She went to visit her mom this weekend and is coming home tonight. I get nervous and scared….. I have suppression and anxiety so it gets to me…. will I make it? Don’t want to let her down but I also don’t want to loos my marriage in the long run because I’m not copping mentally or physically. I have a boy he’s doing Gr12 now. I was a single mom all my life. Now I’m married with a new baby girl…. I just need to know all Will be fine at the end of the day. Without loosing my self in the process. Thank you for your comment, Elsabe. You have a lot going on, but with God’s help, you will make it. Trust in Him to help you every day. 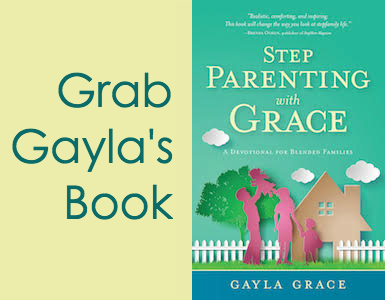 And pick up some stepfamily resources to encourage you. 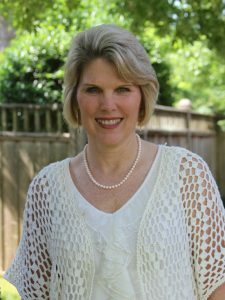 The Smart Stepmom by Laura Petherbridge would be a good resource for you. Also, Quiet Moments for the Stepmom Soul is a devotional book I co-authored with some other stepmoms that would encourage you daily. God bless you.